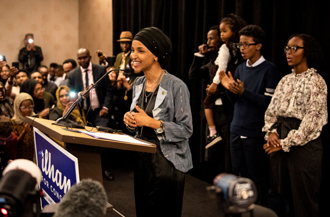 Election night, Somali Muslim refugee Ilhan Omar became one of the first Muslim congresswomen in U.S. history, joining Rashida Tlaib. At her acceptance speech, Omar greeted the audience with a powerful “As-Salam-Alaikum” [a religious salutation among Muslims]. Many Muslims felt this was a homecoming. 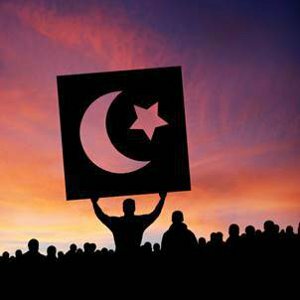 American Muslims now had Muslim representation in Congress after what they felt were two tumultuous years of a Trump presidency. Writer and host Aymann Ismail shared how he felt “transported” by the gesture. However, others were not quite so sure they were comfortable with it. Her honest admission brought forward a dialogue among the women, many of whom were also not quick to celebrate what they saw as religious rhetoric by an elected official. Click here for more from the Clarion Project. This entry was posted in National on November 14, 2018 by admin.